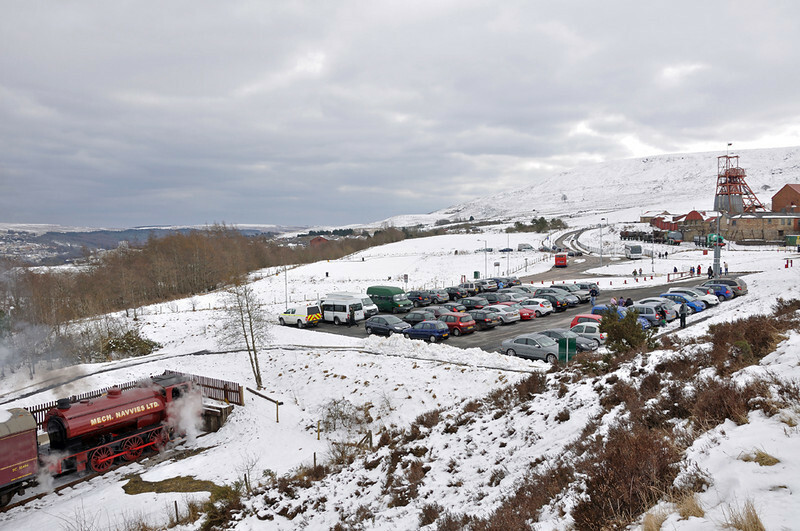 Good Friday 2013 and it's opening day at the Pontypool and Blaenavon Railway, although with all the snow it looks more like or Santa Specials than our Easter Bunny trains. Due to the poor weather it was not possible to complete the trackwork at Blaenavon in time, so trains only ran between Big Pit and Whistle Inn. A picture to show just how close the railway gets to Big Pit, 71515 on the left is in the station, on the right is the museum.